Whilst the slacker and grunge genres may prompt images of disenfranchised teenagers noisily telling tales of mental illness, drug abuse and a hatred for all things authoritarian, one Detroit-native power trio are intent on putting a unique spin on this type of music. Armed with a set of five slacker anthems, Ripshark’s debut EP christens the slacker genre with a wonderfully happy-go-lucky outlook on life as an average young Midwesterner. The first track ‘Stoned’ opens with amp buzz and noodling bass captured before a take, adding a real sense of humanism and musicianship to the recording (something nowhere near enough bands seem to do). The song comes to life with a catchy riff that’s undoubtedly grunge, but conjures up images of summer fun and days spent with friends. Joe Breitner’s carefree vocal delivery pays homage to the famous 90’s Seattle scene, with him almost speaking his lyrics in a relaxed observational manner. Greg Johnstone’s bass line really opens up towards the end of the track, however he chooses his moments wisely to keep the song’s two main chord progressions interesting without being overbearing. ‘Sleeper State’ kicks off with spacey, chorus-rich guitar lines. At this point it’s evident that Breitner likes to keep his lyrics simple and not overly-wordy, which fits the genre perfectly. As Breitner breaks into the coda of ‘was I ever young’, the backing vocals open things up and allow the track to take on a new life. Particular praise goes to drummer Mike Valenti for some great off-time fills as he settles into the laid-back feel of the track without allowing things to lose momentum. ‘Untitled’ opens with distant, overdriven guitar. I noticed at this point how varied the range of tones are on this EP, with each chosen tone serving the song proper justice. Whilst the track retains a ropey and relaxed feel, the band are perfectly in time and there’s a real sense of chemistry between them. Each player seems to adhere to the mantra of ‘play the song, not the instrument’, choosing their moments wisely and prioritising the song itself rather than their individual talents. ‘Manifest Destiny’ is a tale about a girl moving away to California. Johnstone drives the track forward on this one and grasps hold of the momentum like it’s his for the taking. Whilst Breitner retains his signature laid-back vocal delivery, it’s apparent by this point that there’s a true sense of sincerity to his voice, be it in an optimistic, resentful or apathetic manner. The track features a very long instrumental section, which did have a bit of a tendency to feel drawn-out at times. However, this is a track well-worthy of college radio stations across the US provided a radio edit is made. ‘All The Same’ reminisces about hanging out with friends, smoking cigarettes and hiding from the police. Praise goes to Breitner’s use of antonyms in his lyrics with ‘like a downer/on the upswing’. The climatic coda section announcing how ‘it’s all the same’ sees layers of guitars overdubbing the plodding nature of the track, brilliantly capturing the band’s boiling frustration and resentment that often stems from the mundanities of everyday life. 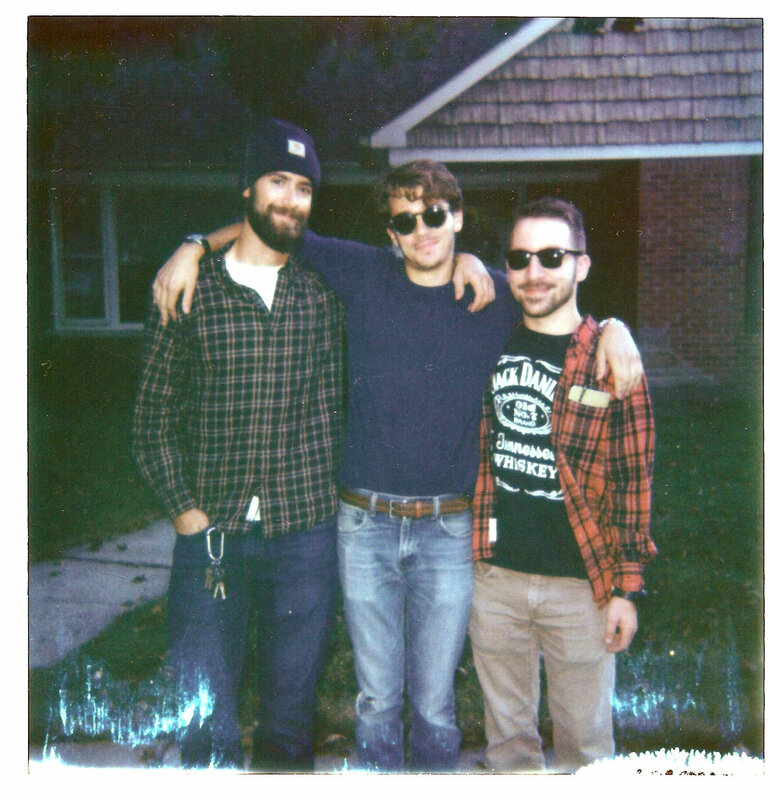 Through this EP, Ripshark wear their DIY hearts on their sleeves and provide a cheerful account of the trials and tribulations of average Midwestern life. They’re clearly proud of who they are and don’t take themselves too seriously, but have an unmistakable sense of chemistry and musicality. Definitely recommended for any slacker fan.